The mashup: It’s a good idea to increase your vitamin C intake over flu season, so why not get it in fried potato form? 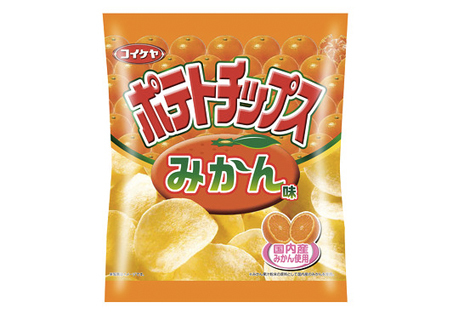 Okay, maybe there isn’t actually vitamin C in these mikan (a Japanese orange, according to the Wall Street Journal) flavored chips, but you can kind of see why it’s a good idea right? The mashup: Quebecois and Jewish comfort food combine in this Hanukkah recipe from kosher blogger Busy in Brooklyn. She recreates a classic poutine but replaces the fries with another form of fried potato: mini latkes, the traditional Jewish potato cakes. 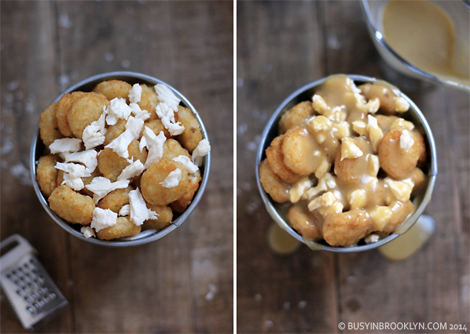 If you can’t find cheese curds, the recipes suggests subbing with shredded fresh mozzarella. The mashup: Burger King Japan has come out with some inventive menu items in the last few months, from the all-black Kuro burger to holiday-inspired mush ‘n cheese and cranberry burgers. 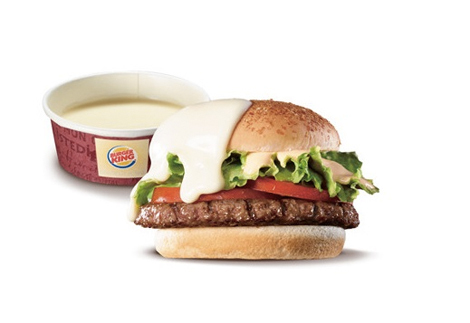 Now the chain is deconstructing the cheese burger with its Beef Fondue and Chicken Fondue burgers, which come with a tub of white wine and cheese sauce for dipping.